Karan Johar and Shah Rukh Khan are meant to be the best of best friends. But, a small move by KJo on Twitter, landed him in the problem and raised questions on his friendship. Karan accidentally liked a tweet that abused Shah Rukh Khan and compared him to Akshay Kumar’s stardom. The tweet was by Mannu Yadav which read, “Half day colls [collections] of Kesari on Holiday (which is worse than pre-Diwali day) [is] greater than Zero full festival day collection”. 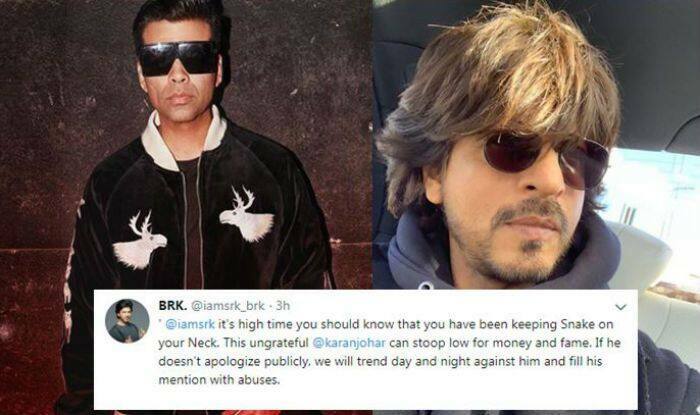 Angry SRK fans bashed the director and created a hashtag #ShameOnKaranJohar. 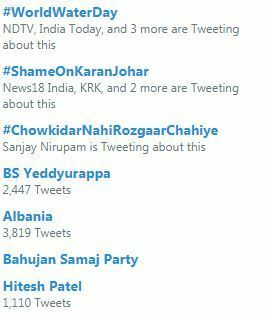 No doubt, it is trending on Twitter. However, Karan Johar as apologised for the inconvenience and gave a clarification that it was a technical glitch. Karan Johar also tweeted, “Aaj twitter pe thodi gadbad ho gayi but baaki sab #firstclass hai. ”. First Class is the new song from the movie Kalank.